Talks are continuing on Ukraines payment issues with Gazprom, as the Russian company says it is serious about cutting off supplies if it isnt paid for outstanding debts, and there is no contract for the coming year. Time is ticking away, with no agreement yet reached between Gazprom and Naftogas. An October memorandum signed between Russia and Ukraine set December 31 as the date by which outstanding debts need to be paid. This needs to occur before a new contract can be signed. Gazprom says that cash strapped Ukraine is unable to come up with more than $2 Billion dollars it owes, and it has proposed non financial means of payment. One involves payment with gas in Ukrainian storage. Another involves accepting the debt as prepayment for the transit of Russian gas through Ukraine to Europe. Ukraines refusal to accept alternatives, or come up with the money, is making the possibility of another New years gas supply disruption increasingly possible. Gazprom CEO Aleksey Miller, says the company is preparing for the worst. 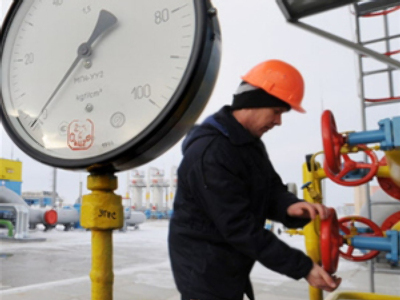 Market Rumors suggest that Ukraine may be waiting for a gas better price later in the year. Its expected gas prices will fall in the wake of the collapse in oil prices. Alexey Bogatirev, Analyst at United Communication, says Ukraine has enough gas in storage to last about 4 months. Gazprom has held several video press conferences, with including one with London, warning European consumer of possible gas supply disruption. Spokesman Sergey Kupriyanov is also pointing to history, and alerting to the possibility of Ukraine siphoning off Russian gas intended for European customers. With the dispute entering its final day before a gas disruption becomes a distinct possibility, downstream customers and Gazprom are placing their hopes in a last minute compromise, while preparing for the worst if one doesn’t come.